I have been a volunteer for the local Widowed Persons Service for many years, donating my time to help with events. The past several years I have received a Volunteer Award for my time creating and overseeing their website. 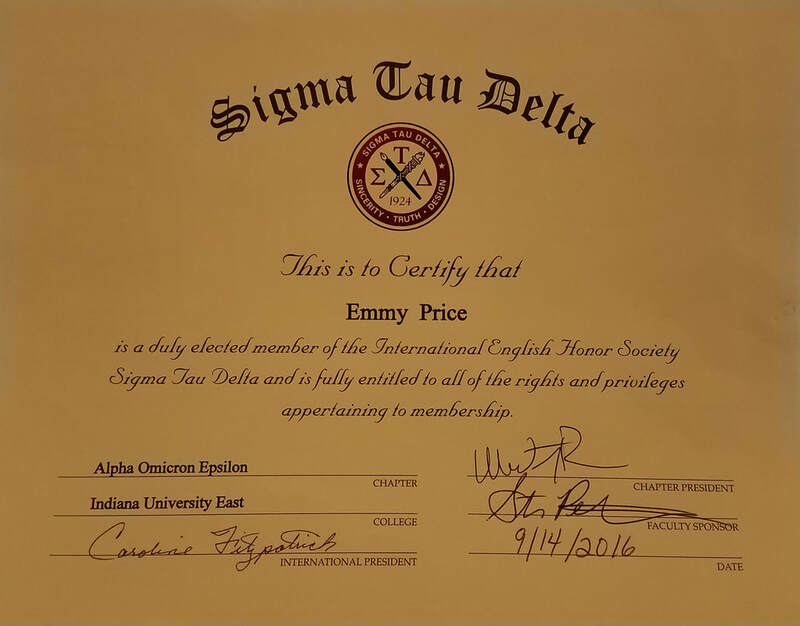 Before graduating from Indiana University with a major in English and concentration in technical and professional writing, I was an elected member of the English honor society, Sigma Tau Delta. I had the privilege of attending all the campus meetings and being our chapter's social media manager during my time at IU.